I don’t know whether videographer is a word or not…BUT IT SHOULD BE. 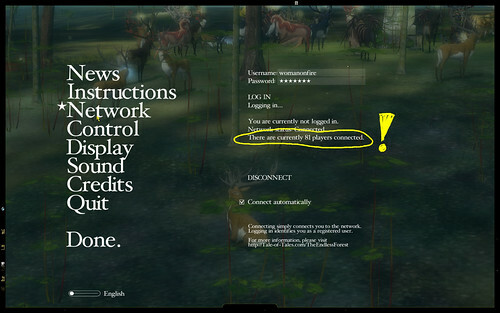 Right down to the error message upon crashing. I think the server capacity has been found. Best way to catch all the pretties was to watch on Abiogenesis Cam (Ctrl+W). Otherwise you can’t see certain effects, like when it went all “Predator-Vision” on us. The bit that sticks most in my mind was when the ruins were being replicated all around us in all directions. Combine that with the music and it had a real edge on it… like Bambi meets Silent Hill. Well done Anduin! This looked great fun.I’m very jealous that I missed it! 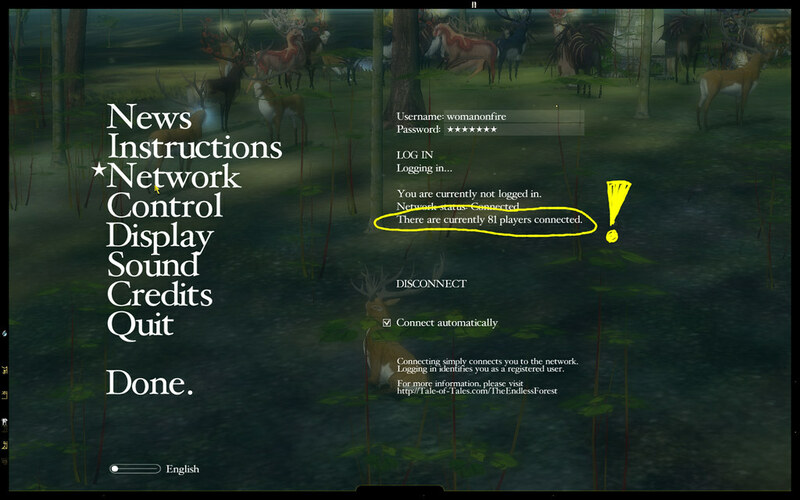 !Even with the fact that it sounds like many peoples PC’s went into meltdown!I’ve put in on Myspace page to spread the word of The Endless Forest! My original video draft had a number of pictures incorporated into it as well (fire in the tree, flowers, ruins replication…), but I removed them when I found it would take me longer than I wanted to spend making them seem not as out of place. I will probably post them in the forums when I find the time to edit and upload them.